10 yards per skein. 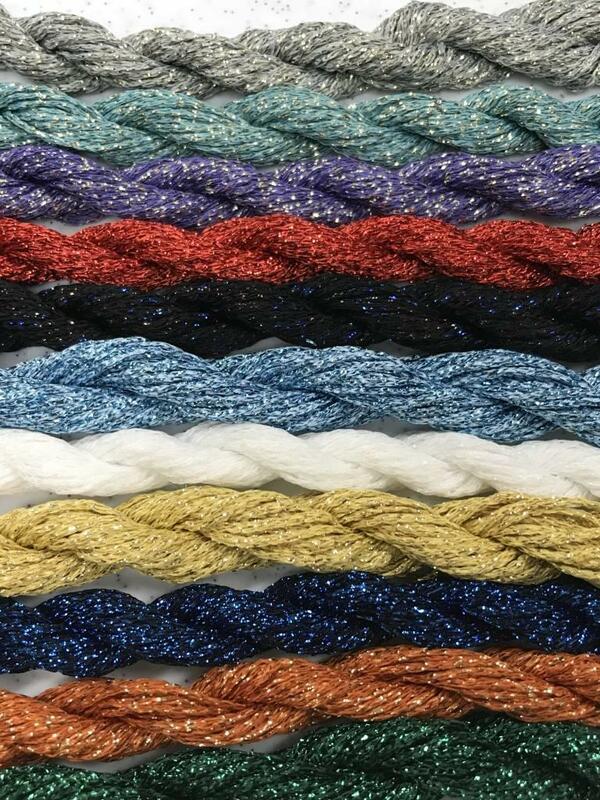 Synthetic metallic thread similar to #5 pearl cotton, six strands of floss or one ply of persian wool. 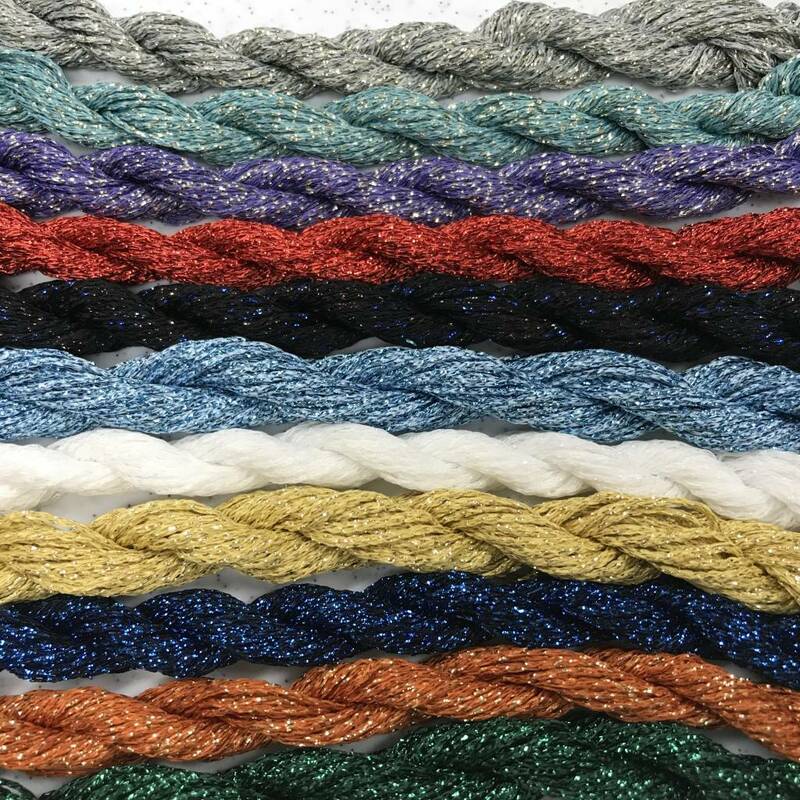 A synthetic metallic thread. It is very easy to work with and in weight is similar to #5 pearl cotton, six strands of floss or one ply of persian wool. White tends to reflect the colors used around it. Although it has lots of sparkle, decorative stitches look well worked with Snow. It also comes in a variety of colors.